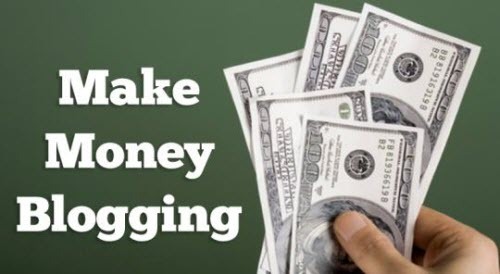 It is not a very tough task to make money from your blog rather it is smart and easy especially after the evolution of 24*7 internet market but firstly one needs to understand specifically the meaning of a blog. Blog is an informational page or site that can be published on a world wide web by any individual or a group of people but most recently “multi author blogs”(MABs) in which large number of authors work together to post whether on internet/other informatory resources. How to create blog and make money? Here we are providing you a video by which you can learn how to create your own blog and make money. How to make money with Blog? It is very easy and frequent to make money from your blog but it’s impossible until you have sufficient knowledge about that. Here we are providing you some tips to make money with your blog. Advertisement is one of the most important and widely used methods to make money with your blog by easily selling advertising space of the page. The 125*125 sidebar ads seen on every webpage is specifically used for money purpose. Pay per click advertising is another widely used way to increase money through your blog. Google Adsense is used for this purpose which suitably pick the ads for your blog according to the content that’s why it is been used by most of the startup blogs. It is rather passive way to earn from your blog by just setting a link on your page for once. When any user will click that link to pay or download. Than automatically you will be paid without touching it again and again. Another method to make cash from products that even you don’t own is by just simply becoming an affiliate person for someone else that allows you a earnings in reply of your send traffics and sales. This is the way of making money through your blog but the method is not so effective but quite good for social service. It can provide lots of free information and ask for a donation by PayPal click button at the end but I can promise that not many will be interested in doing so.